From an early age, Vanderbilt senior Jasper Lu was interested in exploring the intersection of innovation and imagination. Creative writing and computer science classes in middle school and high school inspired him to pursue a liberal arts education at Vanderbilt, where he could explore all his passions and identify connections between them. Lu graduates from Vanderbilt in May with dual degrees: a bachelor of science in computer science and mathematics, with a minor in astronomy, and a master of science in computer science. As Commencement approaches, Lu balances his time participating in advanced fiction writing workshops, focusing on his coursework, and co-chairing the Asian American Student Association’s Lunar New Year Festival—a cultural showcase of dances and performances attended by more than a thousand Vanderbilt and Nashville community members annually. “Running LNYF is the proudest thing I’ve done at Vanderbilt because I was able to help participants make meaningful friendships and foster a community on campus, as well as put on a good production for others to enjoy,” says Lu, who receives the Kenneth F. and Dorothy E. Galloway Engineering Scholarship. Later this year, Lu, a Brooklyn native, will move to San Francisco to begin working at Nuro, a tech startup company founded in 2016 that is developing autonomous vehicles for local goods transportation. 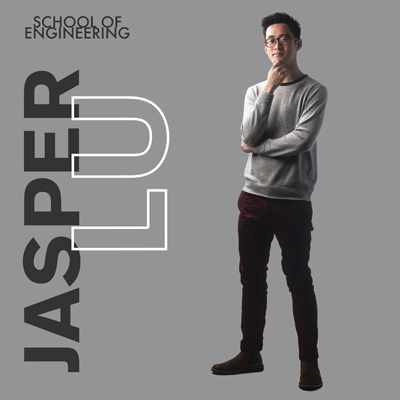 The job won’t be Lu’s first stint in the tech world; he previously used his knowledge of deep learning, algorithms and artificial intelligence while interning at companies such as Airbnb, Two Sigma, Google and more. Although headed to a Silicon Valley startup, Lu says he will continue to have a deep appreciation for the power of art and how it impacts culture and society. He hopes to produce and direct a Broadway musical one day, believing that many of the skills he will develop in the tech industry will serve him in a variety of disciplines.